To go berry picking for your summer pies, tarts, and jams! It's still strawberry season in the North, and on to blueberries in the South. Raspberries, black raspberries, and blackberries will be ready soon. 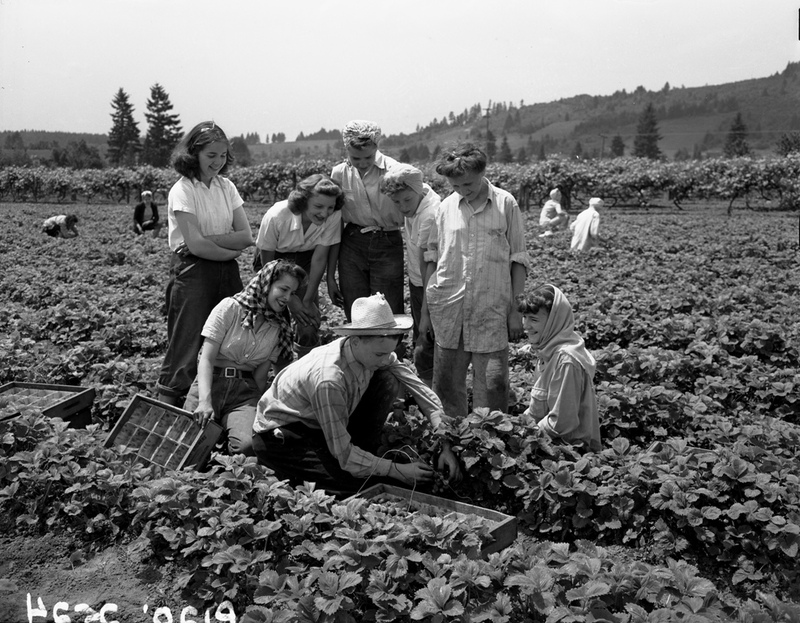 The pictures above are from the Oregon State University Archives, and feature berry pickers on Oregon "victory farms" in 1946. *Top: "Kneeling is Stanley Boyer -- one of the best strawberry pickers in the Portland area. His record was 21 crates of strawberries in a 6 hour day." 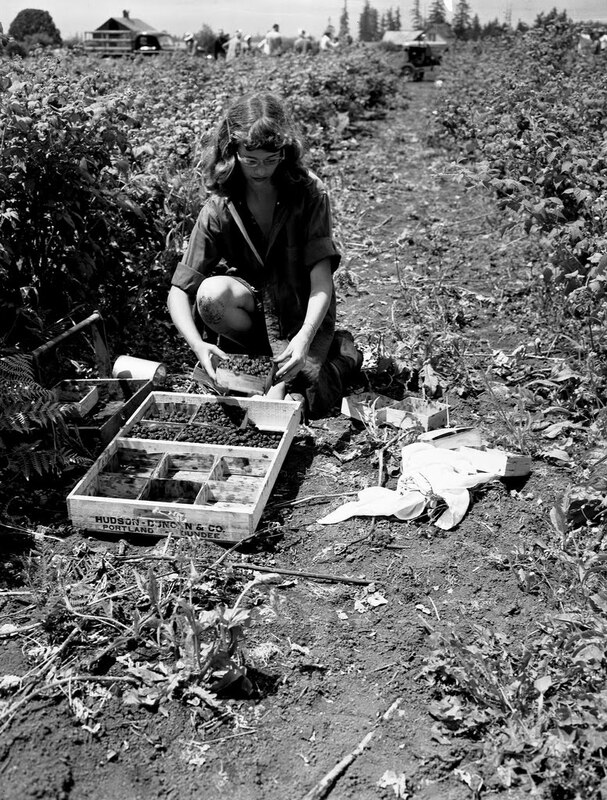 *Middle: "Joan Renner, 15 years old, from West Linn, is transferring blackcaps from her picking carrier to a crate on the John Phillips farm in the Carus community of Clackamas County." 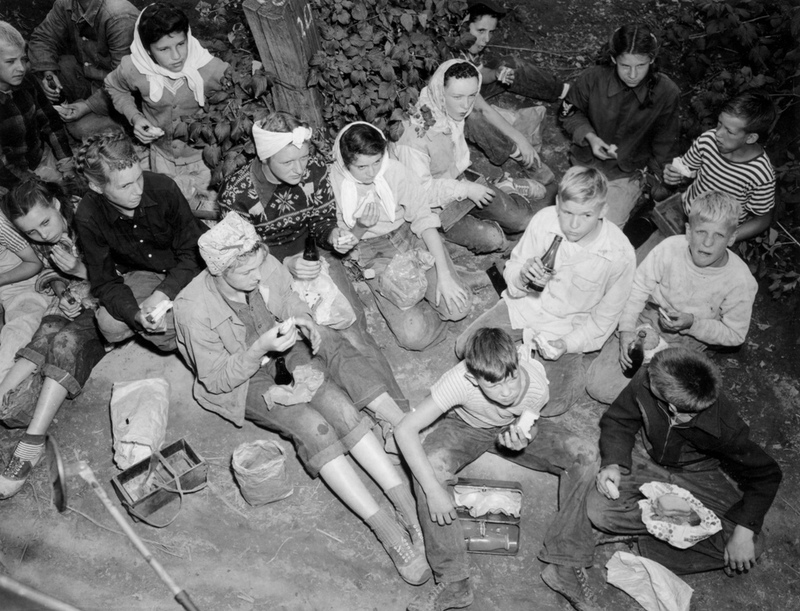 *Bottom: " Portland Victory Farm Volunteer raspberry picking platoon at lunch at a farm near Troutdale, Oregon." Happy summer solstice and happy picking!